The Epcot International Flower & Garden Festival will be here before you know it! 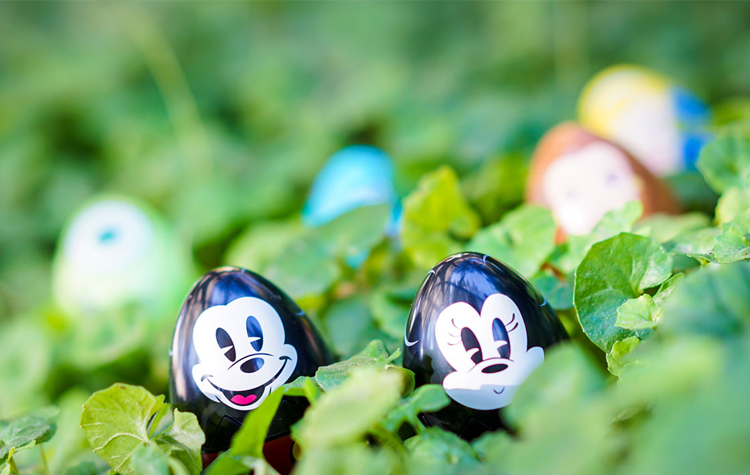 The festival runs from February 28 until May 28, 2018, and within that time frame from March 16 through April 1 guests can experience the popular Egg-Stravaganza scavenger hunt! Hidden throughout the World Showcase, guests can search with their friends and family for giant eggs portrayed as their favorite Disney characters including Mickey, Minnie, Belle, Cinderella, Mike Wazowski, and “Sully” Sullivan. Maps and stickers to track your Egg-Stravaganza scavenger hunt are $5.99 plus tax and can be purchased at Disney Trader, Pin Central, and World Traveler. When you complete your map you return to Disney Trader for a special prize! New this year to the Flower & Garden Festival is another scavenger hunt around World Showcase! Spike’s Pollen Nation Exploration will take you around the World Showcase to look for Spike the honey bee’s favorite gardens to pollinate. Once you’ve completed the search you’ll receive a “special springtime surprise.” Much like the Egg-Stravaganza scavenger hunt, Spike’s Pollen Nation Exploration has a map and stickers for $5.99. Spike’s Pollen Nation Exploration maps can be picked up at Port of Entry.